When I first saw a globe as a child, I was fascinated by the big bumpy region north of India and the Himalayas. It was labeled “Tibet (China).” China insists Tibet has always been a part of China, while Tibetans claim that the Chinese invaded their independent country over sixty years ago. 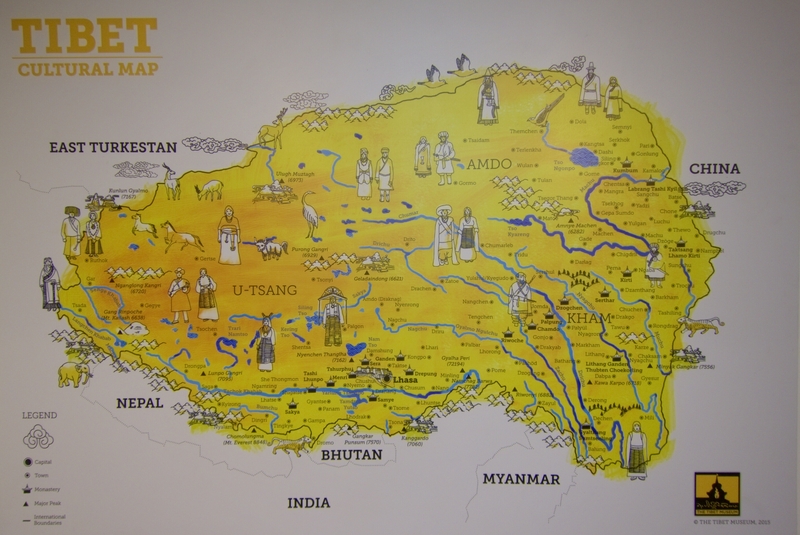 Map of Tibet, at The Tibet Museum, Mcleodganj. In 1959, the Dalai Lama arrived in India, and Mcleodganj is now the home of His Holiness the 14th Dalai Lama and the Tibetan government in exile. There are many Tibetan refugees here and the town is full of restaurants serving Tibetan food. 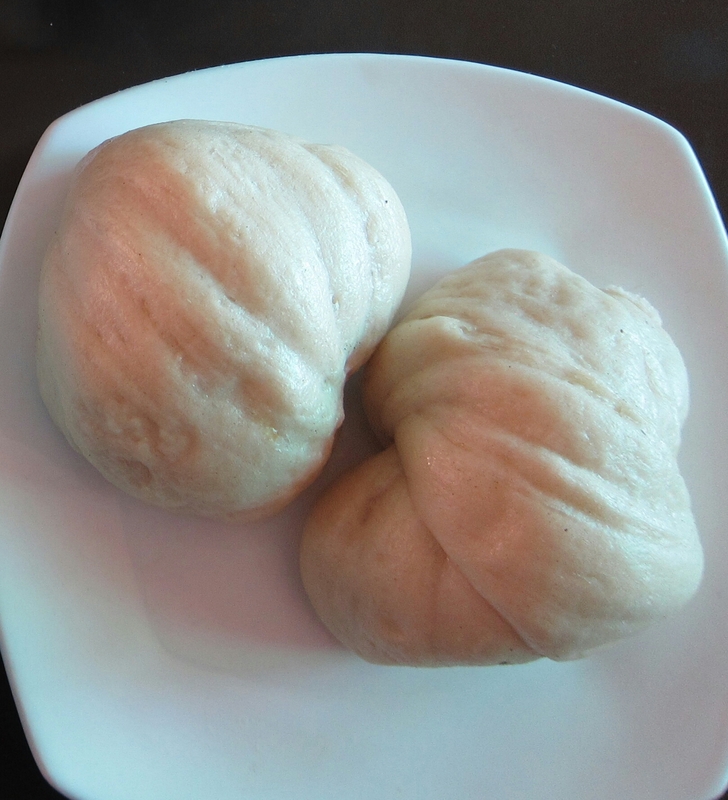 I reacquainted myself with momos (Tibetan steamed dumplings), tried tsampa (roasted barley) porridge, and discovered tingmo, a Tibetan steamed bread. 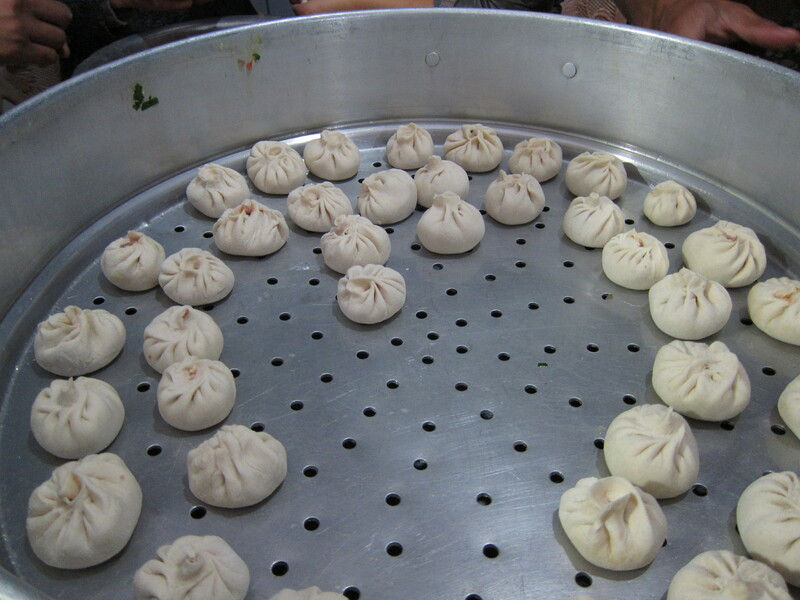 Momos before steaming. (Photo taken at Kunpan Cultural School, where I’m currently teaching English to Tibetan refugees). 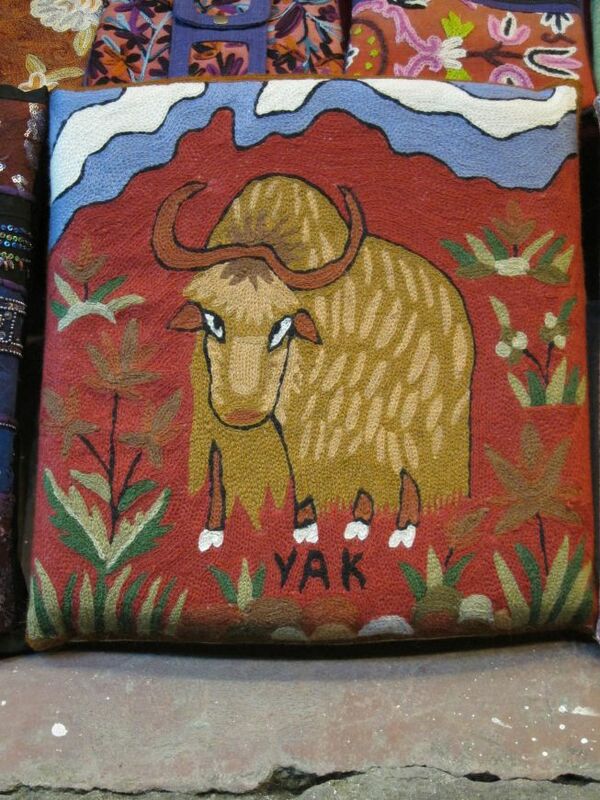 First, I was surprised to learn that there was no such thing as “yak butter tea!” Last week a Tibetan monk explained to me that in the Tibetan language, the word yak refers only to the male animal, with dri being the correct word for the female. “So it should be dri butter tea,” he said. Next I found out that since yak and dri were not so common around Mcleodganj, the local Tibetan tea was made with cow butter. 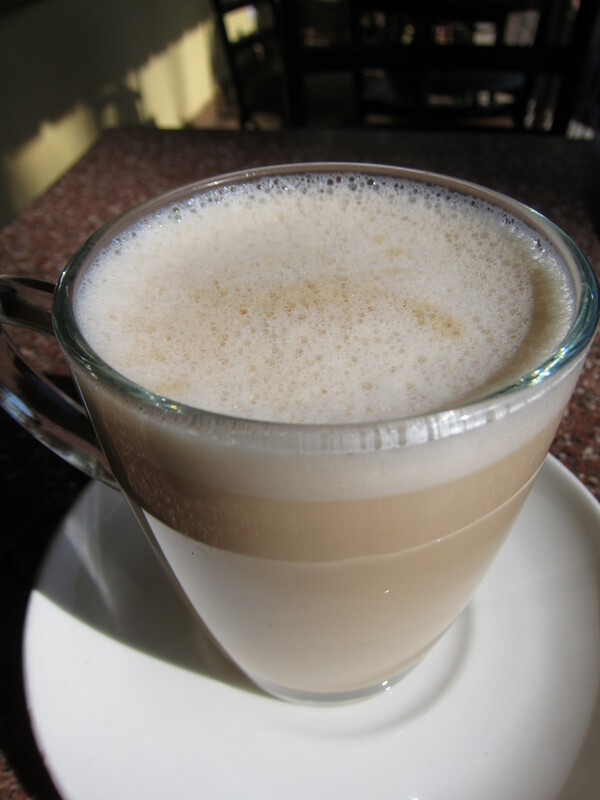 Tibetan butter tea. No yaks needed, thank you. 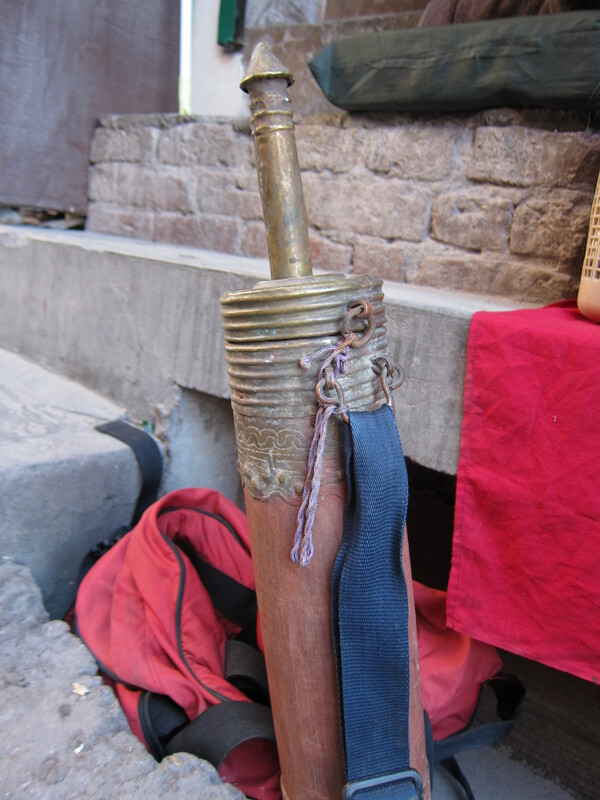 Tibetan tea is traditionally made from brick tea, the kind of tea that for centuries was brought over mountains from China to Tibet via what historians now call the Tea Horse Road. 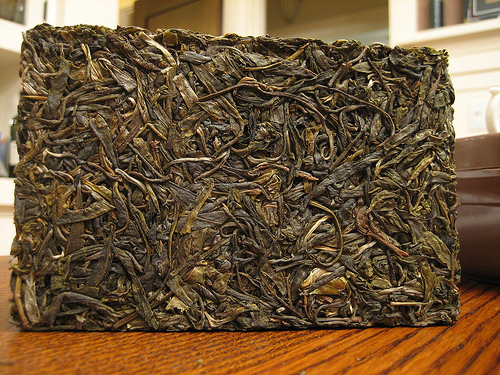 (A modern descendant of that brick tea is today’s Puerh tea). The tea leaves are boiled in water for many hours. After the leaves have been removed from the water, salt is added to it and finally butter is churned in. This thing is used to churn the butter for the tea. In Tibet, the “roof of the world,” this tea is drunk in small quantities several times a day. The salty, fatty drink helps prevent dehydration and provides an important source of calories for the nomadic peoples in Tibet. You’re probably wondering how the tea tasted. Well, it was buttery and salty, like broth, with a very mild tea flavor. It was certainly palatable. But the truth is, what I drank was not real Tibetan tea, since it was not made with dri butter. So it seems the only way to try real Tibetan tea is to first locate some dri! Let me know if you see any. I’d love to eat and drink all of those things! Great pictures. Thanks! The momos are my favorite. Very enjoyable read, Sharad! Thanks!